I just have reviewed the recent research paper from Forrester about Consumer Online Behavior that are some interesting points as following. - While the 18-29 year old set spends the most time online (although by just 2 hours per week over the 18-43 year old set) the type of usage varies greatly. - The Internet is mostly an extension of what someone is / or does offline. 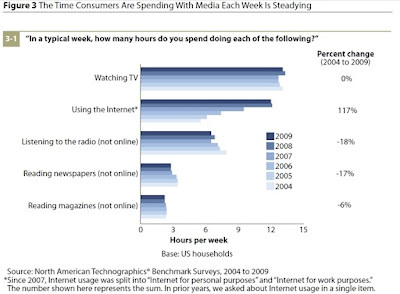 If you watch a lot of TV offline you are either moving from the couch to the desktop or maybe you’re just too lazy and you are putting your laptop on your lap on the couch but guess what you are doing either way: watching TV. - Social networking isn’t just for Gen Yers anymore. Double-digit growth numbers for the use of online social networking sites proves that the phenomenon has moved well beyond the realm of college students.